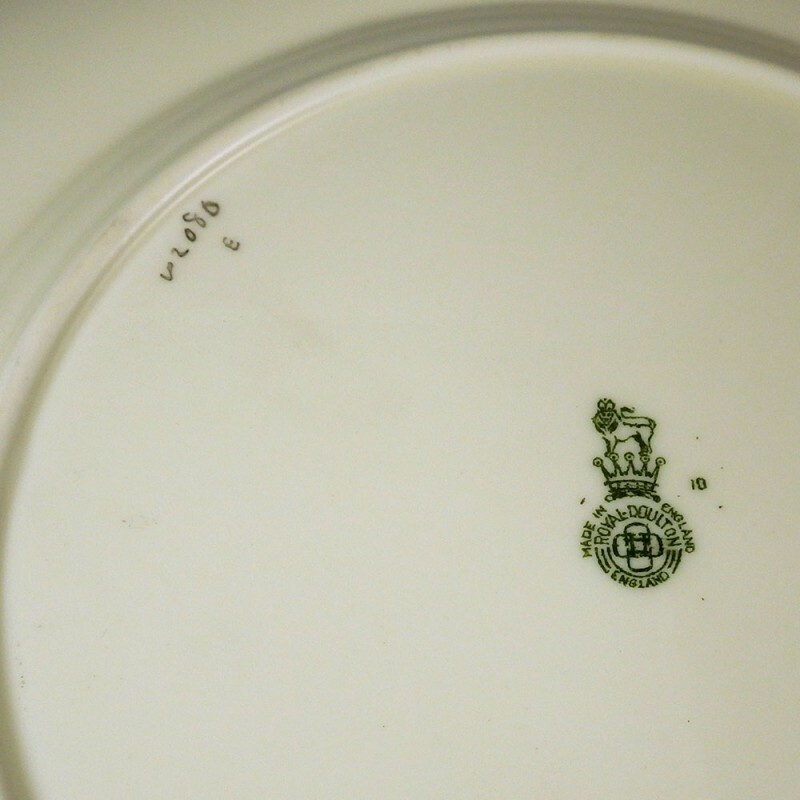 Royal Doulton bone china dinner plate in the Bristol floral pattern (Pattern # V2080), a plate size of 10-5/8 inch in diameter. 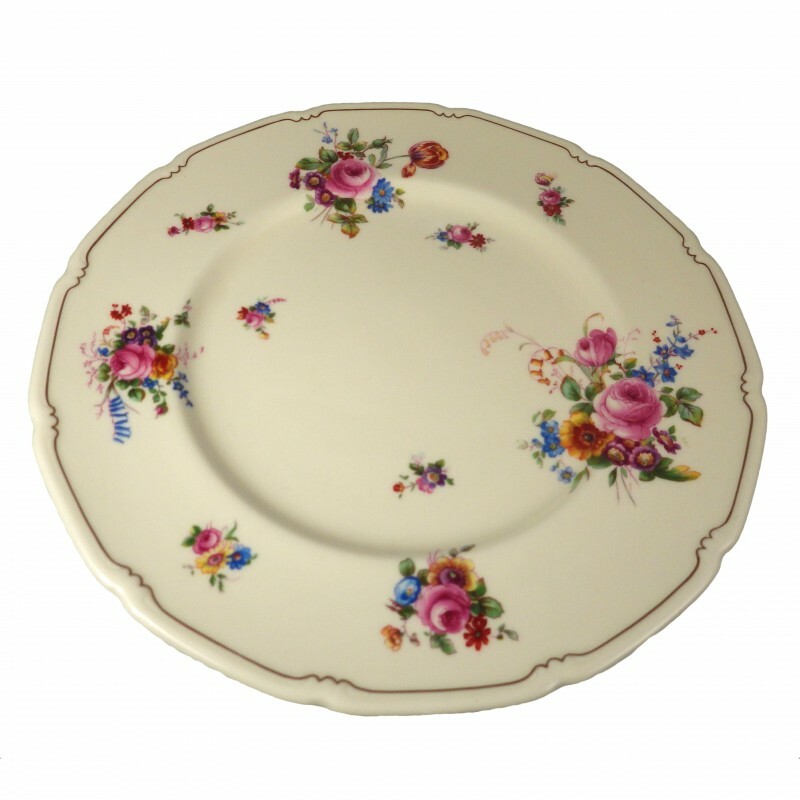 With a perfect balance of cheer and elegance, this discontinued replacement china pattern is decorated in a bright array of pink roses and wild flower bouquets. In excellent condition with no nicks, chips, cracks, or other signs of notable wear. 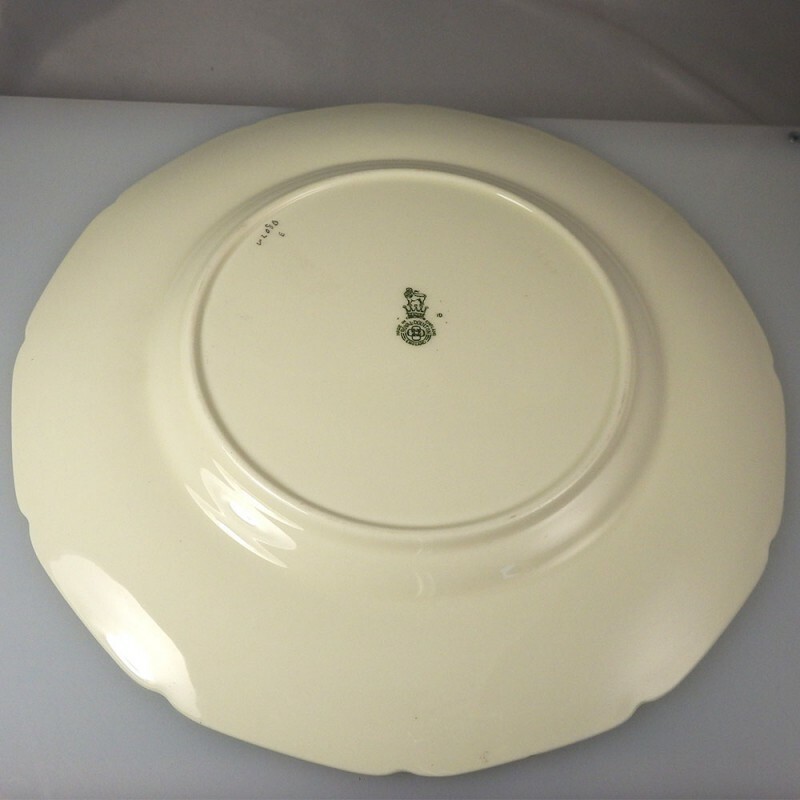 You will find other place setting pieces available below.